Blue Rider Press, 9780399166457, 272pp. Two imposing literary figures are at the center of this captivating novel: the celebrated Shirley Jackson, best known for her short story The Lottery, and her husband, Stanley Edgar Hyman, a literary critic and professor at Bennington College. When a young graduate student and his pregnant wife Fred and Rose Nemser move into Shirley and Stanley's home in the fall of 1964, they are quickly cast under the magnetic spell of their brilliant and proudly unconventional hosts. While Fred becomes preoccupied with his teaching schedule, Rose forms an unlikely, turbulent friendship with the troubled and unpredictable Shirley. Fascinated by the Hymans volatile marriage and inexplicable drawn to the darkly enigmatic author, Rose nonetheless senses something amiss something to do with nightly unanswered phone calls and inscrutable accounts of a long-missing female student. 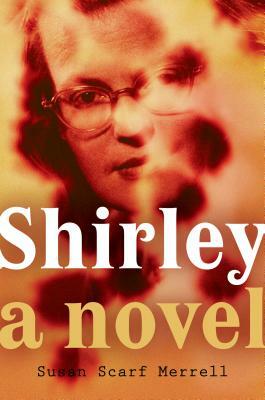 Chillingly atmospheric and evocative of Jackson's own classic stories, Shirley is an elegant thriller with one of America's greatest horror writers at its heart. SUSAN SCARF MERRELL is the author of a previous novel, A Member of the Family, and a nonfiction work, The Accidental Bond: How Sibling Connections Influence Adult Relationships. She teaches in the MFA in Creative Writing & Literature at Stony Brook Southampton and is Fiction Editor of TSR: The Southampton Review.